While I can't take credit for the recipe, I can vouch for the fact that this is truly the best White Chili recipe -- and it couldn't be easier! 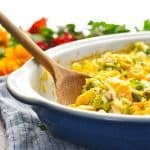 The flavorful Crock Pot meal makes cozy, weeknight dinners easy and delicious! While I can’t take credit for the recipe, I can vouch for the fact that this is truly the best White Chili recipe — and it couldn’t be easier! The flavorful Crock Pot meal makes cozy, weeknight dinners easy and delicious! 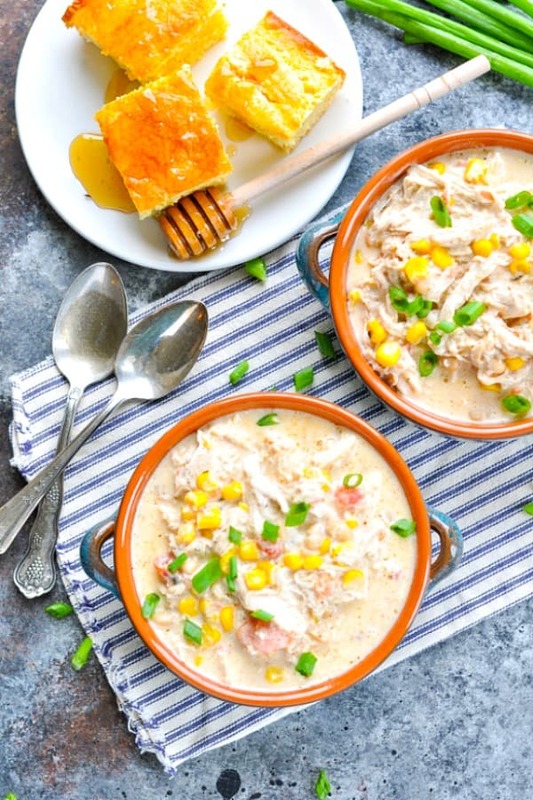 I’ve said it before, and I’ll say it again: the recipes that my readers send me are always a HUGE hit, and this easy White Chicken Chili is no exception! This tasty idea originally came from Kara, who was a member of the first 5-Day Meal Planning Challenge that I hosted way back in August (you can still sign up for the free Challenge on your own HERE, if you’re interested). Well, this White Chili in the Crock Pot is Kara’s go-to last-minute no-fail supper…and it’s a good one. How do you make White Chili? There’s no prep work involved, so you can throw all of the ingredients into your slow cooker on the way out the door in the morning and come home later to a warm pot of tender creamy white chili in a perfectly-seasoned, not-too-spicy broth. If you don’t want to mess with the slow cooker while you’re away all day, you can even prepare a batch of this chili on the weekend (like me) and keep it stashed in your refrigerator for Monday, Tuesday, or Wednesday night when you need a quick supper to reheat after work or basketball practice! 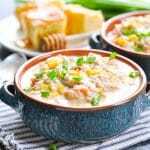 Kara also mentioned that you can make this White Bean Chicken Chili recipe in a regular pot on the stovetop if you need a last-minute prep method. We’ve all had those days when we forget to start the slow cooker in the morning, right?! What ingredients are in White Chili? cumin, chili powder and onion powder. 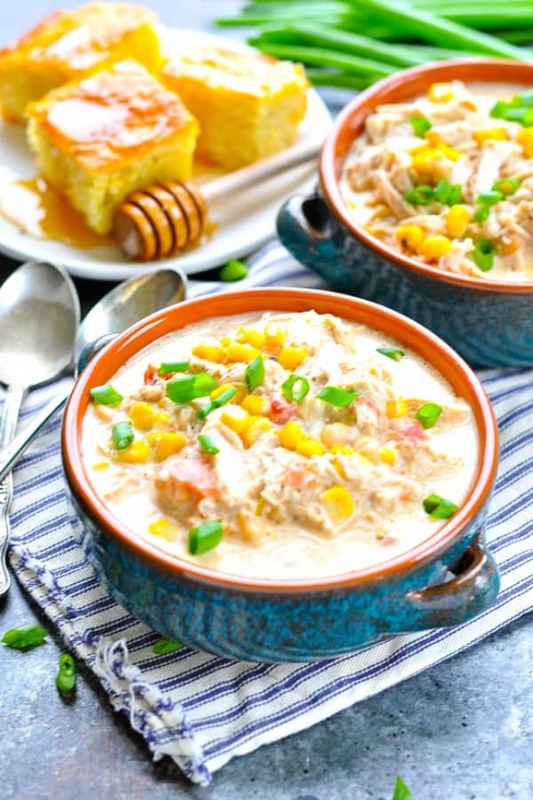 How long can you keep white chicken chili? Properly stored, cooked chili will last for 3 to 4 days in the refrigerator. Can white chili be frozen? I do not recommend freezing the leftover chili, because a creamy broth with cream cheese can “break” after it’s thawed. This would give the chili a chunky, not-so-appetizing appearance and texture! What to serve with white chili? 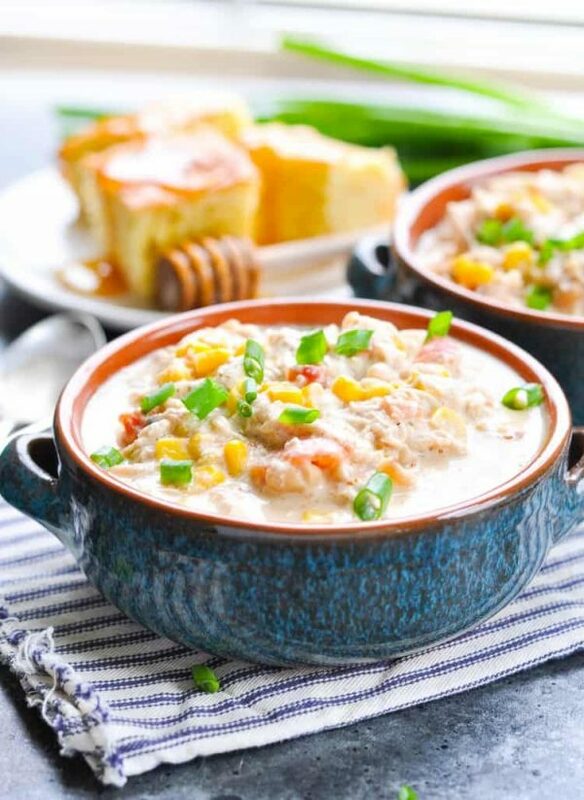 This white chili chicken recipe is great with shredded cheese on top, sliced green onions, sour cream, diced avocado, or just some Fritos or cornbread for dipping! Prepare the chili in the slow cooker for a convenient all-day option, or on the stovetop for a quick last-minute meal! Use chicken breasts or chicken thighs, depending on your preference. Make this white chili with ground turkey instead of with chicken. If using ground turkey, cook the turkey in a skillet until no longer pink before adding it to the slow cooker. Kara’s recipe calls for just a small amount of broth. The condensation from the Crock Pot will add more liquid to the dish. If you prefer a thinner chili, simply add more broth, to taste, until it reaches the desired consistency. 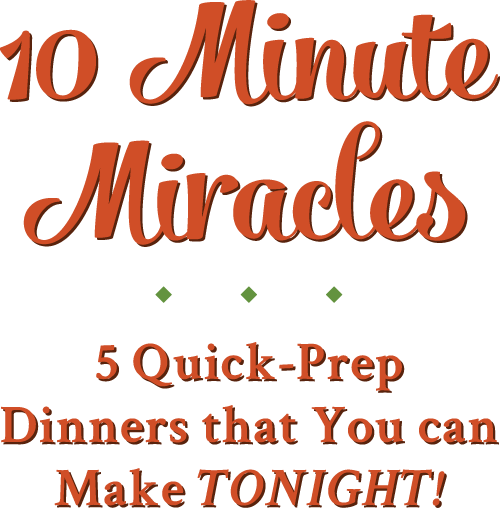 Thanks to Kara for sharing her easy, weeknight wonder with the rest of us! 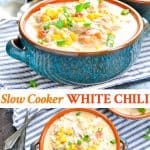 It’s truly the best chicken chili recipe and I have no doubt that her Slow Cooker White Chili is about to become your favorite go-to dinner, too! Combine all ingredients (except for cream cheese) in a large slow cooker. Cover and cook on LOW for 6-8 hours, or on HIGH for 3-4 hours. Remove chicken and shred with two forks or chop. Return chicken to the slow cooker and stir. Add cream cheese to the slow cooker, stir, cover, and cook for an additional 5-10 minutes, or until cream cheese is melted and completely combined into the broth. You can feel free to add more chicken broth at this point, to thin chili to desired consistency. Serve with chips or cornbread! All slow cookers run on slightly different temperatures, so cooking times vary. My slow cooker tends to cook dishes pretty quickly, so my chili was done after 3 hours on HIGH. 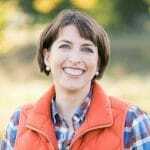 Kara leaves her chili in her Crock Pot for 8 hours on LOW, so that might work well for you too! I do not recommend freezing the leftover chili, because a creamy broth with cream cheese can "break" after it's thawed. This would give the chili a chunky, not-so-appetizing appearance and texture! Kara's recipe calls for just a small amount of broth. The condensation from the Crock Pot will add more liquid to the dish. If you prefer a thinner chili, simply add more broth, to taste, until it reaches the desired consistency. Never had white chili?!?! OMG…you’re missin’ out, Gayle! I hope that you try this soon! I would just bulk up the recipe with additional chicken, corn, diced tomatoes, and/or chopped bell peppers in lieu of the beans. A can of beans is about 1.75 cups, so just add a similar amount of any of those other ingredients (or a combination of chicken + corn, for example). Whatever he likes should work fine! Iwe put diced potatoes in there. Delish! 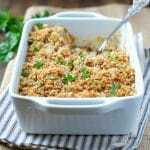 Love this…I have made this a few times but not much on tomatoes so I don’t usually use these…just add a little brown rice to bulk it up a little bit! I also use the spicy navy bean, I believe they are called Cajun Navy Beans! Yum! 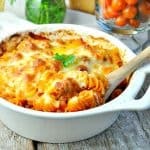 Will have to try this with the ranch seasoning packet and cream cheese! Thanks for the recipes and all your great tips! That’s great, Helen! I need to keep my eye out for the cajun navy beans! Sounds delicious. One cup of chicken broth for that amount of soup doesn’t seem like enough liquid, especially when everything else but the Rotel is drained. Is that the correct amount? I made this recipe and did end up using 2 cups of Chicken broth. It was delicious! 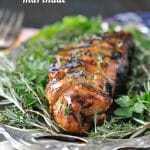 I have really enjoyed your website and have loved the recipes I have tried.